With the advent of Smart phones, we have developed an App which allows us to communicate key information from and to your drivers. 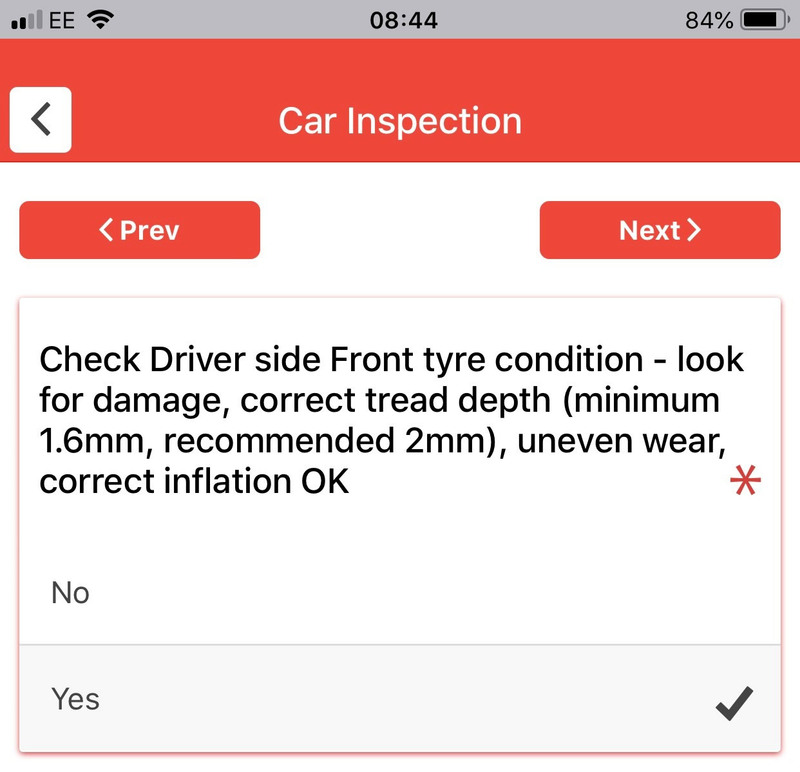 Under Health & Safety guidelines a vehicle check should be carried out regularly, our App is quick to complete, and captures key information to help keep your fleet on the road, gives us up to date mileage and condition alerts. No more paper reports that no one looks at! All the support service numbers applicable to the vehicle, including service booking, breakdown , tyres, accident management are shown. A set routine inspection app. Date and time stamped capturing mileage and allowing the driver to notify of any issues with the vehicle and photographs. Takes under 2 minutes to complete. No more paper reports, quick and simple to complete. Allows drivers to highlight potential issues in a couple of minutes each day.